President Donald Trump ordered new sanctions against Venezuela on Thursday, heightening tensions between the U.S. and one of the last antagonistic countries in Latin America. The announcement came in the middle of a speech by National Security Advisor John Bolton on the current state of U.S. relationships with South America in Miami. The executive order also places restrictions on certain individuals from immigrating from Venezuela to the U.S., arguing that allowing “unrestricted immigrant and nonimmigrant entry to the United States … would be detrimental to the interests” of the country. FILE PHOTO: U.S. National Security Adviser John Bolton answers a question from a reporter about how he refers to Palestine during a news conference in the White House briefing room in Washington, U.S., October 3, 2018. REUTERS/Jonathan Ernst/File Photo. The Trump administration specifically targeted Venezuela’s gold sector in an effort to harm the nation’s trading with Turkey which officials believe is interfering with American interests in the region, according to reports. “Under this administration, we will no longer appease dictators and despots near our shores in this Hemisphere. We will not reward firing squads, torturers, and murderers. We will champion the independence and liberty of our neighbors. And this President, and his entire administration, will stand with the freedom fighters. 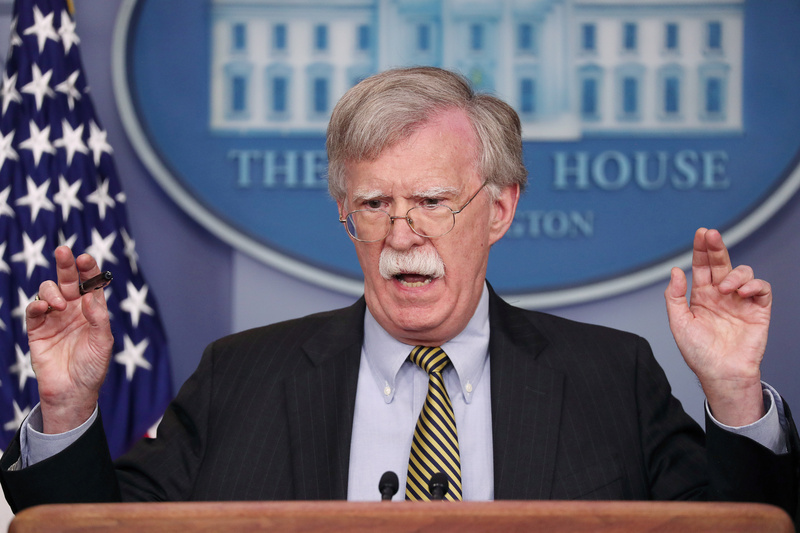 The Troika of Tyranny in this Hemisphere — Cuba, Venezuela, and Nicaragua — has finally met its match,” Bolton said Thursday afternoon. Trump’s executive order is just the latest round of sanctions placed against socialist President Nicolas Maduro’s regime. In May, shortly after Maduro’s reelection, the U.S. ordered sanctions in an effort to prevent Venezuela from quickly selling off key assets.